Hop on board with mighty Brewster as he rides the rails on a fun train trip. 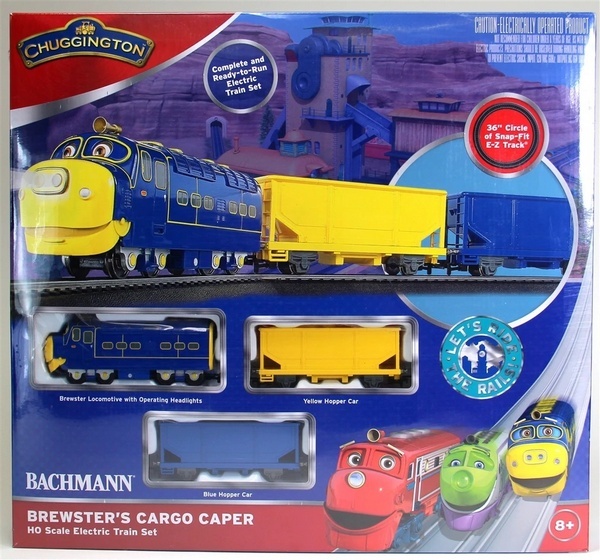 Brewster’s Cargo Caper is a great way to begin your Chuggington collection. Brewster really enjoys showing his strength as he hauls his hopper cars around Chuggington. And with his operating headlights brightening the way, this Chugger’s winning personality will really shine through. Watch the video below to see Brewster in action!